A motorcycle for the city or for excursions in nature. 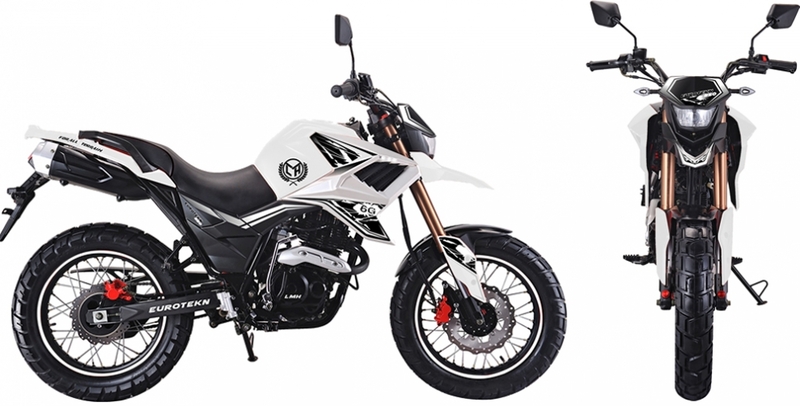 The Tekken 250 has a dual purpose: it combines the true off-road style along with the real world , for spontaneous trips and adventures. There is no need to be the one or the other; you can enjoy both! The FUEGO Tekken 250 can take you everywhere without a second thought . The free versatility of 249cc single-cylinder four-valve engine, keeps the motorbike always ready for the road. The six-speed transmission and a smooth linear torque ensures comfortable driving. LMH disposes any spare part or accessory you may need. It is time for a real adventure; ideal nature-lovers and city-lovers as well! Front 110/90-17" - Rear 130/80-17"